My grandma couldn’t quite reply. 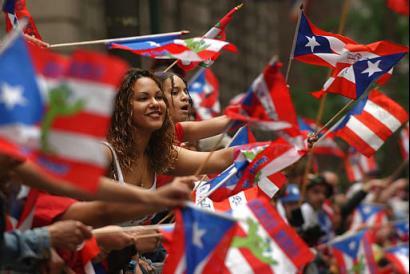 It has always been a sore topic, the topic of identity for Puerto Ricans. However, our identity is deeper and more heartbreaking than the classification of race or the color of one’s skin. It is an identity that has been manufactured, produced, and sculpted by American colonialism. It is an identity that was entirely driven by America’s new wave of technology in the 20th century. It is an identity that is no organic and not our own. My grandmother is light-skinned. Born with deep black hair, dyes it red simply cause it’s her favorite color. She has aged beautifully, laugh lines all around her face as she tells me stories about the island. An island that is within itself a western creation, and I will explain why. Reproducing Empire by Laura Briggs is a book that analyzes the intersectionality of sexuality and reproduction amongst Puerto Rican women with colonialism. She argues that America’s strong hold of Puerto Rico was largely due to its strong hold of Puerto Rico’s women. In the peak of medical technology in the 20th century, the birth control pill was tested amongst unsuspecting Puerto Rican women, causing medical problems and even deaths. In this same time, there was a fear of overpopulation on the island, a fear sprawled upon American government. America proceeded to conduct sterilization procedure of Puerto Rican women without explaining to them what the procedure exactly meant. The Puerto Rican identity, especially the Puerto Rican woman’s identity, is purely an experiment for America to consume. What does this have to do with cyborgs? Briggs draws evidence from Donna Haraway’s “A Manifesto for Cyborgs,” explaining that the “production of identities” is controlled by technoscience. There is no such thing as “organic wholeness” of a people, that the people’s identity is so largely based on what technology has affects. For Puerto Rico, much of its history is manufactured — literally — in the American eye. Seen as dirty, lazy, and irresponsible, America found Puerto Rico to be teeming with too many pregnancies and not enough jobs. Thus, the island-wide experiment on women began. The concept of the “cyborg” relies on the idea of consumerism and being manufactured within the body. Puerto Rican women were a commodity. I say this to bring another layer into our current conversations on the body. The body can be invisible, yes, and misinterpreted. But the body can also be manmade, created as a product of something else entirely, leaving an entire people to wonder who they really are. I asked my grandma if she remembers the talk of sterilization or tiny ladies in cute heels walking through farmlands to give away birth control pills. Are we all just cyborgs in our worlds? Are we manufactured selfs?